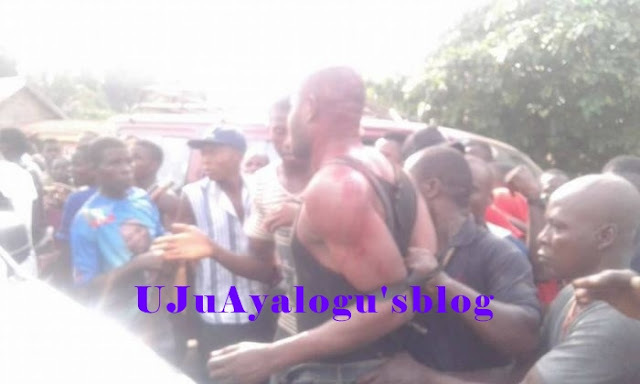 Some suspected political gunmen invaded the Anaku, Ayamelum Venue of APC candidate, Tony Nwoye’s campaign and wrecked havoc on Thursday. 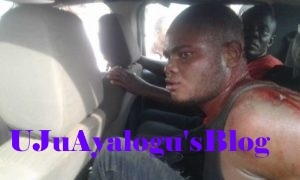 One of the thugs allegedly fired a gunshot directly at Nwoye but missed. Unconfirmed reports indicate that the thugs are affiliated to the All Progressives grand alliance(APGA), the party that currently rules the state. However, Youths of the community identified and apprehended one of the thugs identified as Iyke Okolo.PoliticsNGR learnt that the suspect is alleged to be a relation of the transition chairman of Anyamelum LGA.